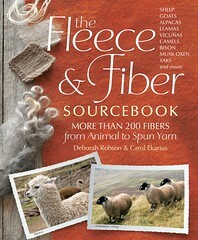 Thank you to everyone who entered to win a copy of The Fleece & Fiber Sourcebook! This is truly the "fiber bible" and is sure to be a favorite for many years to come. Congratulations to Jessi! I know you're going to love this one!